Submitted by Quest-News-Serv... on Tue, 07/05/2011 - 03:09. In the civilian world, things can get more complicated, confusing and lonely for vets. That's why Cleveland Municipal Court is creating a Veterans Treatment Court, starting in September, that will solely handle the cases of vets who run afoul of the law in Cleveland. Judge Lynn McLaughlin-Murray will preside over the court, with Judge Angela Stokes serving as alternate. McLaughlin-Murray said the court will handle mostly misdemeanor offenses involving substance abuse, domestic relations, mental health, housing and other issues, plus minor felony drug cases. She said Cleveland's Veterans Treatment Court will be the 78th in the nation since the first was established in Buffalo, N.Y., in 2008. In Ohio, there also are veterans courts in Mansfield, Youngstown and Hamilton and Stark counties. The courts offer treatment and rehabilitation instead of jail time for veterans who can be struggling with post-traumatic stress disorder, chemical dependency, homelessness and other problems. According to the judge, some 85 to 100 defendants currently on probation with the court, mostly for repeat offenses involving driving under the influence, could qualify for the voluntary program. The court would utilize resources of the county Veterans Services Commission and Department of Veterans Affairs to provide what McLaughlin-Murray described as a "wrap-around service" to ensure that a defendant is receiving all medical, counseling, housing and other support assistance available to veterans. Additionally, fellow veterans would be assigned to each defendant as a volunteer mentor/coach to keep them on track with rehabilitative programs. From talking to judges in other veterans courts, McLaughlin Murray said, she learned that "veterans really respond well to a structured environment and when interacting with other veterans." "If they're in a place surrounded by people who understand them, who speak the same language, they're able to break down barriers and successfully complete programs," she added. The court is seeking volunteer mentors. Interested veterans can contact Derek Moore - moored [at] clevelandmunicipalcourt [dot] org in the probation office at 216-664-4930. McLaughlin-Murray said other veterans courts have seen reduced recidivism and lower costs when comparing treatment to incarceration. "There is a cost savings, absolutely," she said. "These individuals don't come back." There is also a personal pay-off for the judge who is not a veteran, but saw enough of them as a Cleveland Municipal Court magistrate, and earlier during college as a homeless shelter volunteer, to grasp the scope of their problems. Plus, "the thing I really love about my job is the opportunity to help individuals," she added. "These specialized dockets really make a difference in defendants' lives, and give them the tools they need to succeed." Submitted by JournalistKathy... on Tue, 07/05/2011 - 20:01. We again call for Judge Lynn McLaulin Murray's resignation from the bench for case fixing against Black women and political corruption. She sentenced a Black woman saying she resisted arrest when the arresting officer did not testify or accuse her of it after her predecessor, former Cleveland judge Kathleen Ann Keough, fixed the case in exchange for an endorsement for an appellate seat from Cleveland Mayor Frank Jackson. Judge McLaughlin Murray Murray is a disservice to the bench. If a veteran goes before her and Cleveland Mayor Frank Jackson does not like him she will fix the case because she is an unethical case fixing puppet for a corrupt and anti-Black piece of a mayor and his corrupt and racist law director, Robert Triozzi--Down with political corruption and corrupt judges like Judge Lynn McLaughlin Murray---Vote her off the bench in November to make Cleveland a better place--And she is not scholarly and can barely write a sentence--Her claim to fame is case fixing , disregarding other aspects of the law, and hurting innocent Blacks and women via malicious court proceedings--Kathy Wray Coleman--The Imperial Women--There is always somebody ready to pertetuate racism if the original perpetrator is White like McLaughlin Murray and the victim is Black--Racism is alive and well in Northeast Ohio, and elsewhere herein--Isn't it? Submitted by lmcshane on Tue, 07/05/2011 - 20:51. While in theory--the special court for veterans sounds like a good thing--I don't like the implied bias in judgement implied by the whole set-up. Guy--I have to side with Kathy on this one. Submitted by JournalistKathy... on Wed, 07/06/2011 - 16:49. No judge should be over any particular program because it promotes bias. Cases should be assigned at random and Judge McLaughlin Murray should not even be on the bench because she has no respect for the law. 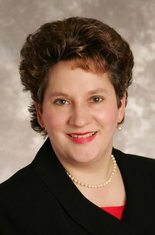 Former Cleveland Judge Kathleen Keough, whom McLaughlin Murray replaced to continue case fixing for Mayor Jackson and others, volunteered to be over the Cleveland Municipal Court Psychiactric Clinic. She used it to harass Jackson enemies and other enemies of other members of the county's Democratic Party. Keough actually diagnozed people without a license and research reveals that she did so to harass enemies of Jackson and others. Now her corrupt successor wants a venue all to her own so that she can harass veterans. I don't trust McLaughlin Murray and the sooner we vote this unethical piece of a judge off the bench the better off Cleveland will be. How did this story make the cover of RealNeo.US? Why don't we just let the criminals pick the judges? Submitted by ANGELnWard14 on Tue, 07/05/2011 - 21:57. Submitted by JournalistKathy... on Wed, 07/06/2011 - 16:48. Are you sugessting that corrupt politicians are not criminals? And please know that McLaughlin Murray was not "picked" by the voters. She was appointed in January by the governor because she could not win an election and she must win in November to hold on to the seat. She has to fix cases for Cleveland Mayor Frank Jackson or he might pull his endorsement and she is in a tight race with Assistant County Prosecutor Pinkey Carr, lead prosecutor for the Anthony Sowell Capital Murder Case. McLaughlin Murray was taken off the ballot once for lying and giving the wrong name ( ie "Murray" instead of "McLaughlin Murray") to mislead voters with the hope that name matters and then lost an appeal of her dishonesty on the removal from the ballot by the Board of Elections to the Ohio Eighth District Court of Appeals. And what makes a judge that violates the law any different than a criminal? Submitted by ANGELnWard14 on Tue, 07/05/2011 - 22:58. Submitted by JournalistKathy... on Wed, 07/06/2011 - 00:21. Judge McLauglin Murray is racist and corrupt, in my opinion. Submitted by JournalistKathy... on Wed, 07/06/2011 - 00:22.